These two young children work together to help the garden grow. One of the best ways to bond with others is to work together. We learn from each other knowledge and how to serve one another. While they are working on the growth of the garden they too are growing together. This piece fits beautifully with any garden great or small. 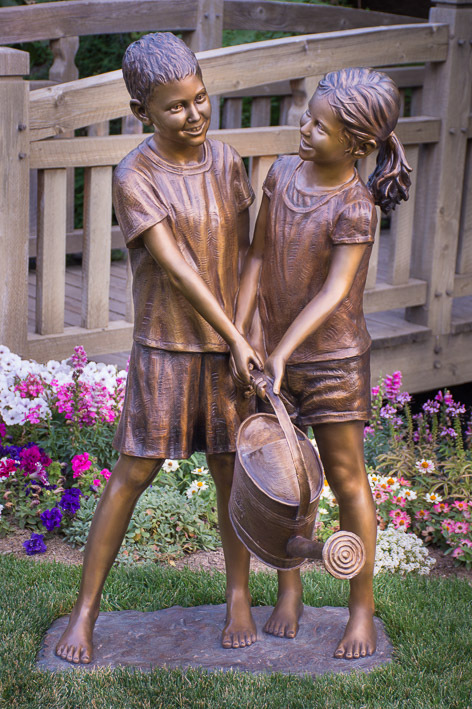 This sculpture is cast using the finest bronze and will last for generations.